Qualifications/Education: Lisbon University, (Degree in Law 1992); post graduation Community Studies, Lisbon University (1994); Mediation Course in Civil and Corporate matters-organized by the Portuguese Chamber of Commerce and Industry-Professor Serge Roy-Canada (2001). 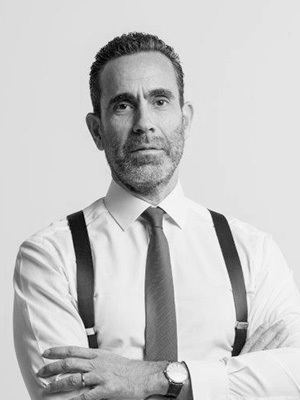 Career Profile: Partner of CRA – Coelho Ribeiro e Associados – Portuguese Law Firm (since 1998); Founder Partner of CRA Timor – Timorese Law Firm; Associate of Coelho Ribeiro e Associados-Law Firm (1993-1998); Invited as Lecturer for the Master in International Sport Law (LLM) in Instituto Superior de derecho y Economia in association with the Compultense University of Madrid about Dispute Resolution Matters (2007); Invited as Lecturer for the post-graduation course in Nova Forum, Instituto de Formacão de Executivos in the School of Economics at University Nova of Lisbon in Insolvency Subject (2003-07) and Dispute Resolution Subject (2004); Director of PortOil – Energia e Recursos Naturais, SA (since 2006); Vice-President a TV Cable Channel-Spanish corporation (since 2002-06); Collaborator of the newspaper “Semanário Económico” (1994-2004); Chairman of the General Meeting of Somincor – Sociedade Mineira de Neves Corvo, SA (since 2004); Director of the Portuguese mining Company Pirites Alentejanas SA (since 2006); Director of a Portuguese Companies Group in aggregates (1992-99); Legal Advisor of Lisbon Town hall-Department of Tourism (1992-1993); Secretary of the General Meeting of General Electric Portugal (1993-2005) and Chairman of the General Meeting of General Electric Portugal, SA (since 2006). Author of several articles about arbitration topics; Speaker at the First Seminar of International Arbitration held in Bahia, Brazil (1997); Speaker in several Working Sessions of AIJA Congresses; Speaker in several Congresses and Seminars organized in Portugal by the following institutes: IIR-Institute for International Research, MGI-Management Global Information and IFE-International Faculty for Executives; Secretary of several arbitrations; Arbitrator in several domestic arbitrations and International; Arbitrator of the official list of the Portuguese Centre for Commercial Arbitration; Arbitrator of the official list of the “Centro de Arbitragem das Profissões Liberais” and Arbitrator of the official list of the Court of Arbitration for Sport (TAS-CAS) in Lausanne, Switzerland. Professional Memberships: Portuguese Bar Association (1992); Brazilian Bar Association – São Paulo section (2006); Vice-President of PLG network (2007) and member of the Executive Board of PLG network since 2004InterAmerican Bar Association (since 1999); AIJA-International Association of Young Lawyers (since 1997); Member of the Executive Committee of AIJA-1999-2002; National Vice President of AIJA – National Representative (2002-2005); member of the Finance Committee and Finance Officer of the Law Course Committee (2005-2006); member of the “Club Español de Arbitraje” (since 2005); President of PLG (2008). Professional Experience: Head of the Arbitration Department and Mining Department of CRA. Legal counsel of the current major foreign investor Group in mining business in Portugal, (since 1998). Legal advisor – on behalf of the buyer investor – on the major privatization transaction regarding the acquisition of the major project copper mine in Portugal (Somincor). Legal advisor in several mining projects taking place in Portugal, Angola, Brazil and East Timor.